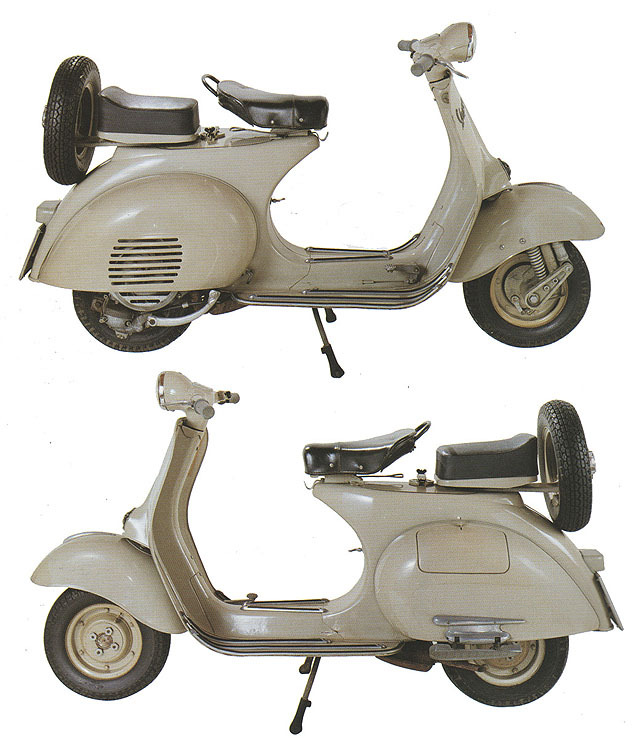 Produced in two different colours, grey and beige, the 1958 Vespa 125 marked an epoch. It was the first Vespa on which two steel half-shells were joined to make the body. 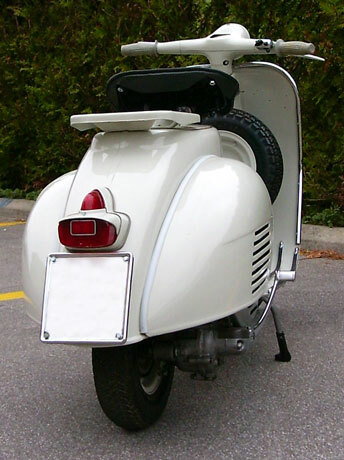 This type of frame had major advantages in terms of industrial production and would be used on all Vespa models thereafter. 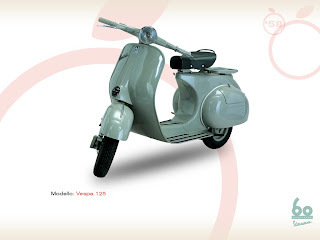 Another new feature of the 1958 Vespa 125 was represented by the commands hidden within the handlebar, which was also composed of two half-shells of pressed steel; a certainly more stylish feature that had been used until then only on the 150cc models whose handlebars were, however, die-cast. The engine too had a new design - it was smaller, with the transverse strut incorporated into the crankcase. This was the last Vespa to use the 5% mixture.